TRUCKEE, Calif. – According to the Drought Monitor for California, eighty percent of the state is in “extreme” to “extraordinary” drought and 100 percent of the state is in “severe” drought or worse. More than sixty percent of California’s developed water supply originates in the Sierra Nevada. Sierra Nevada forests and California’s water supply face grave threats due to damaging wildfires, development, contamination from historic mining activities and changes in climate. Dr. Gleick will be moderating two Peak Innovation panels during Sierra Business Council’s 20th anniversary conference. He will facilitate discussion about leveraging investment in the Sierra Nevada. The first panel addresses innovative private financing strategies with Jeremy Sokulsky from Environmental Incentives, Jenny Kassan from Cutting Edge Capital and David Groves from Private Capital for Public Good. The second, featuring Mark Nechodom from the California Department of Conservation, Kerri Timmer from Sierra Business Council and Jonathon Parfrey from Climate Resolve, will examine creative ways to increase public funding in Sierra ecosystems and address topics related to investing in the health of Sierra forests, wetlands, and waterways. The focus of Peak Innovation includes sharing proven, cost-effective strategies. On Oct. 10, all conference attendees will gain insights during a keynote talk by CNN Crossfire host Van Jones and begin creating a better Sierra through a highly interactive workshop facilitated by SBC staff. Registration, including all meals, networking opportunities, plenary sessions and panel discussions, costs $599. Discounted lodging at Granlibakken is available for conference attendees. Peak Innovation strives to meet Zero Waste guidelines. Sponsors include: Northern California Regional Council of Carpenters, Carpenters 46 Northern California Counties Conference Board, Northern California District Council of Laborers, Smart Cities Prevail, PG & E, mPower Placer, Sierra Nevada Conservancy, Coso Operating Company, Tahoe Regional Planning Agency California Tahoe Conservancy, The Nature Conservancy, Sierra Pacific Industries, Morgan Family Foundation c/o Silicon Valley Community Foundation and the Truckee Donner Land Trust. Additional support is provided by Capital Public Radio, Carmel Gallery, Clif Bar, Granlibakken, Tahoe Trips & Trails, Stella at The Cedar House, Wild & Scenic Film Festival, Squaw/Alpine, and Spiral Internet. 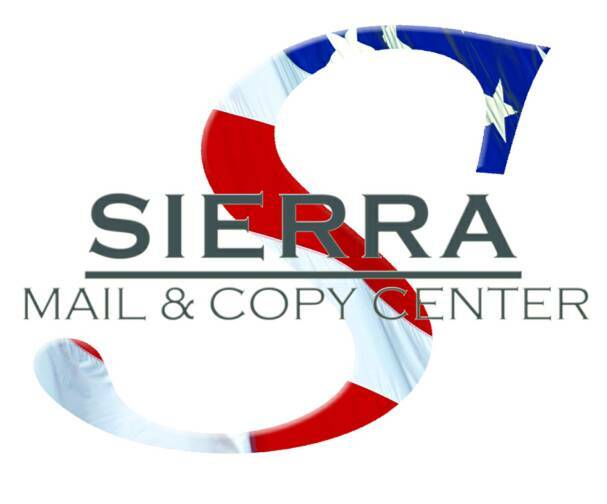 The Sierra Business Council is a 501(c) 3 non-profit organization dedicated to building a better Sierra through on the ground projects that promote, develop and amplify the area’s social, natural and economic capital. SBC’s 20th anniversary conference, Peak Innovation: The Next 20 Years, brings together business leaders, entrepreneurs, active residents, acclaimed writers and science gurus from Oct. 8-10 in Tahoe City. Conference highlights include learning how small companies are cultivating triple bottom line results, gaining insights on scaling investment in the Sierra to improve the health of our ecosystems, finding inspiration in a keynote by Van Jones, CNN’s Crossfire co-host and NY Times bestselling author, and hearing from celebrated writer Terry Tempest Williams as well as Farm to Table dinners, a film festival and choice of guided hikes and tours. Visit SierraBusiness.org or call (530) 582-4800 to register. Dr. Peter Gleick, the founder of the Pacific Institute, has received a MacArthur “genius” Fellowship and was named “a visionary on the environment” by the BBC. He’s a featured blogger for National Geographic’s science blogs. He was elected as an Academician of the International Water Academy, in Oslo, Norway and a member of the U.S. National Academy of Sciences. Dr. Gleick serves on the boards of numerous journals and organizations, and is the author of many scientific papers and nine books, including “The World’s Water” and “Bottled and Sold: The Story Behind Our Obsession with Bottled Water.” He received his B.S. from Yale University and an M.S. and Ph.D. from UC Berkeley. Learn more athttp://pacinst.org/about-us/staff-and-board/dr-peter-h-gleick.